Well, this has been one Hell of a year! It has been a long year. Last June I was only home for two weeks before starting Grad School. The summer courses started out Graduate journey slowly, but with the Fall and Spring semesters I could often be found at night huddled over books and my laptop. Since I was in an accelerated program I had to work on my Thesis prep work along with all of the homework. This heavy workload lead to several sleepless nights. My Masonic obligations were sometimes strained, but with the help of my Brothers I persevered. In some ways this was the slowest year and quickest year of my life. The spring semester was the hardest because of the large amount of homework and some decline in motivation. With the summer session, I focused on my Public Defense and polishing my Thesis. On June 13th I passed my Thesis Defense and yesterday I turned in my Thesis to the Graduate College for consideration. Once the Editor accepts my Thesis I will officially graduate in August. If I so choose I can attend the Winter Commencement that is held in December. There are many I need to acknowledge for their advice and guidance over the last year. First to Dr. Allen for serving as Chairman of my Supervisory Committee as well as encouraging me to continue with my education after my Bachelor's degree. I would also like to thank Dr. Wampler and Dr. Touchton for serving on my Supervisory Committee and giving advice over the last year. Thanks is also given to Dr. Burkhart who I’ve known from the very beginning of my collegiate career and who encouraged me to pursue my Masters. I would also like to acknowledge my fellow students in my cohort: Anna, Evan, Sally, and Tyler. It was a whirlwind of a year and I’m glad to have to have gone through this journey with you all. To my family, friends, and roommates, you all gave me so much support when I needed it. And to the Almighty, I thank Him for the blessings He has bestowed upon my life. Today is St. John the Baptists's Day, a festival day celebrated around the summer solstice. In Freemasonry, this day should used to renew and strengthen the ties between Brothers. This day falls on or near the Summer Solstice where the sun is at its zenith marking the shortest night of the year and the start of summer. John the Baptist belonged to the Jewish tribe of Levi. His father was a Temple priest named Zechariah and his mother was named Elizabeth, who was cousin to the Virgin Mary. John the Baptist was born six months before Jesus Christ, and he died about 6 months before Jesus. As he would later do with the Virgin Mary, the archangel Gabriel announced to Elizabeth the coming of her son, John. John lived in the mountains between Jerusalem and the Dead Sea. John was a very religious man who had his own ministry. His ministry became so popular many began to wonder if he was the Messiah prophesied, but John declared Jesus the "Lamb of God" and when he baptized Jesus Christ, he told his disciples to follow the Nazarene. After the Baptism of the Christ, these two never met again on Earth. John was murdered by King Herod after he had criticized their sinful lives. John was imprisoned before being beheaded. When Jesus was informed of the Baptist's death he responded by saying, "John was a lamp that burned and gave Light, and you chose for a time to enjoy his Light." The Baptist is best remembered for his baptism of Christ and his zealous virtue in keeping God's laws. In some sects of Christianity, John the Baptist is sometimes referred to as the Precursor or Forerunner. This day is the feast day for St. John not because he died on this date, as is the norm, but because this day was said to be his birthday. He was said to have been born 6-months prior to the coming of Jesus Christ; as Christ's birthday is near the Winter Solstice, this would place the Baptist's birthday near the Summer Solstice. It is claimed that during the rise of Christianity and the conversion of so many Roman pagans that pagan holidays were converted into Christian holidays where Saints were remembered that previously worshiped pagan gods and goddesses. With this theory it is argued that St. John the Baptist was not born on or near the Summer Solstice, but was just another example of the Christianization of pagan solstice festivals. In Freemasonry it is strange that that the Holy Saints John were selected as the Patron Saints of Freemasonry rather than St. Thomas who is considered the Patron Saint of Masonry. Masonic scholars state that these two were selected as St. John the Baptist represented the faith and zeal that should actuate every Mason while the Evangelist represent how our passions and actions should be tempered through reason and knowledge. Take together they represent the path towards enlightenment. 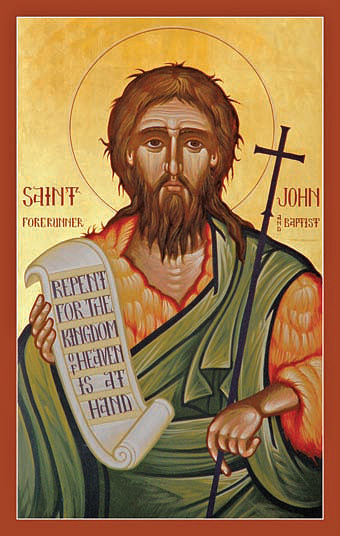 In the Ahiman Rezon, the Constitution of the Antients it states, "the stern integrity of Saint John the Baptist, which induced him to forego every minor consideration in discharging the obligations he owed to God; the unshaken firmness with which he met martyrdom rather than betray his duty to his Master; his steady reproval of vice, and continued preaching of repentance and virtue. make him a fit patron of the Masonic institution." Bro. Gregory Stewart argued that St. John the Baptist was alchemically represented by the inverted pyramid, the symbol for the Element of Water, which he states represents spiritual and emotional love, as well as reminds us of the Baptism of Jesus Christ which St. John the Baptist presided over. This day and the Holy Saints John also remind us of the Masonic symbol the Point Within the Circle which represents the two saints on either side of a circle representing their place at each of the sun's orbit; two milestones in the astronomical year. This symbol is powerful and much more will be explained in a future article. For the present, it is necessary that this symbol is introduced in the Entered Apprentice degree and Masons are reminded to study astronomy (one of the 7 liberal arts and science) in the Fellow Craft degree. It was through the study of the movement of the heavenly bodies that man was capable of understanding the habits of animals, best farming and harvest practices, even opportune times for warfare, and, finally, the creation of a calendar system. I see very few Lodges celebrating this day and I find that tragic. This day is one to forge our bonds not with our present Brethren, but also with those have walked this world before us. This day is also important to Freemasonry as the first Grand Lodge was formed in London on this day in 1717. Brothers, let us keep to celebrating this day and strengthening the chain of union of this venerable fraternity. Well today marks 10-years as a Master Mason! It has been quite an unforgettable ride. I have met so many new friends and Brothers that I never would have met otherwise. With the help of my Brothers, I have done much in Freemasonry in my time, more than I ever thought I would have, and I have still have so much more to do in my journey through Freemasonry. My journey to Freemasonry started on the road to war. My unit had just completed training at the Joint Readiness Training Center (JRTC) and while waiting to head over to Iraq I went to New Orleans on a 4-day pass with several soldiers from my Platoon. While down there we drove down Park City Avenue where I saw the entrance to a Masonic graveyard. It sparked my curiosity as to who this group was, particularly since the movie National Treasure had just premiered. While I deployed to Iraq I read every book I could get my hands on regarding Freemasonry. Once I was home, my attention was focused on reintegrating back into civilian life not on Freemasonry so thoughts on the fraternity went out of my mind. One day at work I overheard two of my co-workers say something about "going to Lodge." After talking to them I was directed to the Grand Lodge of Idaho who gave me a list of Lodges. That very night I visited Oriental Lodge #60 and I enjoyed their company so much that I petitioned them. My initiation date was postponed due to a military obligation that took me out of the State. Once I was back in Idaho, I jumped right into Freemasonry. I was Initiated on May 19th, 2006, Passed on June 16th, 2006, and Raised to the Sublime Degree of a Master Mason on June 23, 2006. I did move extremely quickly through the degrees because I met with my coach, who was also the Worshipful Master, on a daily basis and I attended other Lodges as I was progressing so I passed my catechisms very quickly. Worshipful The Master also wanted me to reach the 3rd degree by the end of Summer so I could attend the Annual Homecoming to Silver City and he wanted me to step up as Senior Deacon for the rest of the year. I was officially appointed and installed as Senior Deacon in September of 2006. Before I had accepted though I was told that I would most likely be progressing to Junior Warden the next year so I had to work on my Warden's Proficiency Certificate; I had 2-months to get the certificate. With the help of some Brothers I received my certificate and that November I was elected as Junior Warden. The first half of the year I was out of state for the military training, but I had warned the Lodge of this obligation. A Past Master, and mentor, had promised to sit in for me while I was gone. The rest of the year flew by and in November of 2007 I was elected as Senior Warden. In 2008, I had more military duties so I missed a couple months in the Spring, but I had my trusty Past Master to sit in for me while I was gone. During the Summer months I finished off the requirements to receive my Worshipful Master Certificate of Proficiency, which I received at Grand Lodge. In November, I was elected as Worshipful Master and I excited for my year. This month also marked my initiation into the degrees and orders of the York Rite of Freemasonry; I was knighted by the Worshipful Master of my Lodge and my predecessor. For the Boise York Rite I was appointed Royal Arch Captain and Captain of the Guard for the Chapter and Council respectively for the next year. 2009 was a busy year for me. Not only was I serving as Worshipful Master, but I was in charge of the fielding, implementation, and training of new equipment for my National Guard unit. With the help of my Wardens I was able to balance work and Masonry although I wasn't able to attend any York Rite meetings for the first 2/3 of the year. At the Annual Communication of the Grand Lodge of Idaho in September, I was approached by a Brother about getting more active in the York Rite. I stepped up and took parts in the York Rite Fall Festival which led to my election as High Priest of Boise Chapter #3, Royal Arch Masons; Principal Conductor of the Work for Idaho Council #1, Cryptic Masons; and Senior Warden for Idaho Commandery #1, Knights Templar. In November I also had the pleasure of joining the Order of the Eastern Star. The night of installation for the Boise York Rite in December I was approached about joining the York Rite College, but wouldn't be initiated until May of 2010. The York Rite took up most of my first half of 2010 as I was serving as High Priest, but I was also busy with helping prepare for the Grand York Rite Sessions where I was also initiated into the Order of the High Priesthood. After my initiation into the York Rite College my focus drifted from Freemasonry as my unit was preparing to deploy to Iraq in support of Operation New Dawn. In September of 2010 I left Idaho for Camp Shelby, MS, where I trained for two months before heading over to southern Iraq. Before leaving the United States I was given a few days off and went to New Orleans where I visited Etoile Polaire Lodge. This deployment was different and a bit harder than the first for a variety of reasons, but fortunately I had the love and support of my family and Masonic family. In addition to my mother's nearly weekly gift boxes, the Jobies and Eastern Star would send me gifts and letters. I also had the pleasure of meeting with some Brothers while vacationing in Italy. 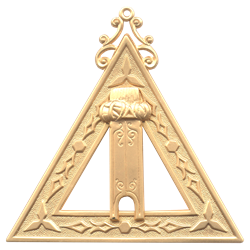 On arriving home in September 2011, I was notified that I had been elected as Worshipful Master for the Idaho Lodge of Research #1965. With the Fall of 2011, I jumped back into Freemasonry: attending a couple Fall District Communications for the Grand Lodge and the Northwest York Rite Regional meeting, being initiated into the Boise Valley of the Ancient & Accepted Scottish Rite, attending a meeting of the Pennsylvania Academy of Masonic Knowledge, and then installed as Illustrious Master of Idaho Council #1, Generalissimo for Idaho Commandery #1, and Worshipful Master for the Idaho Lodge of Research. 2012 was an important year for me in the York Rite of Freemasonry. In March, the Eminent Commander of my Commandery informed me that I had been invited to join the Red Cross of Constantine, of which he was the Sovereign for. In April I was installed as Associate Patron for my Eastern Star Chapter a few days before going to the Grand York Rite of Idaho met where I was initiated into the Order of the Silver Trowel and was installed as the Grand Master of the 1st Veil. It was also at the Grand Banquet that I was talked to about joining the Knight Masons and Order of St. Thomas of Acon. In May I went through a painful initiation into the Red Cross of Constantine; I say it was painful not because of poor ritual (the ritual was great), but due to the fact that the previous week I had sprained my ACL and tore my meniscus so kneeling was a difficulty I faced. The rest of the year was pretty normal with Freemasonry, the National Guard, and college. In September I was awarded the Order of the White Star and was installed as Associate Bethel Guardian for a local Job's Daughter Bethel. At the end of the year I was installed as Eminent Commander for Idaho Commandery #1. March of 2013 was a busy time for me. Outside of my normal Lodge, Scottish Rite, York Rite, and Eastern Star I also had to travel to Olympia, WA, to receive the Orders of the Knight Masons; then the next weekend I travel up to Kennewick, WA, to receive the Order of the Holy Sepulcher and Order of Saint John the Evangelist at the Northwest Regional Assembly of the Red Cross of Constantine; then I attended the visitation of the Supreme Grand Guardians, Supreme Bethel Honored Queen, and Miss International Job's Daughter; the next weekend I presided over the conferral over the Chivalric Orders for new Sir Knights on Saturday and my Commandery's annual Easter Observance the next day; and traveled to Federal Way, Washington, to be initiated into the Commemorative Order of Saint Thomas of Acon. With April came the Grand York Rite Sessions of Idaho and on the Thursday prior I received the Order of the Knights Preceptor. This was a long day particularly since the night prior I had been installed as Worthy Patron for my Eastern Star Chapter then had to drive across the state to attend the Grand York Rite where I was appointed Grand Master of the 2nd Veil for the Grand Chapter of Royal Arch Masons of Idaho and Grand Chaplain of the Grand Council of Cryptic Masons of Idaho. The rest of the year went by with work, school, the usual Masonic meetings, and some new additions to my family with my niece and nephew. The second week of November took me to Seattle where I would receive the degrees of the Royal Order of Scotland. It was during my time in Seattle that I would be notified that I had been elected as Worshipful Master of my Lodge; the first repeat since 1916. Being Worshipful Master was my main focus for 2014, but this year was marked by many non-Masonic events. In January I ended a 12-year career in the Idaho Army National Guard due to injuries to my back and knee. With February, came an adventure of traveling to and attending AMD Masonic Week where I was initiated in the Ye Antient Order of Ye Corks, the Masonic Order of Bath, and the Allied Masonic Degrees. In March I attended a meeting of Tahoma Chapel of the Commemorative Order of St. Thomas of Acon where I was appointed Secretary. In April, as I had met all of the qualifications I was initiated into the Knights of the York Cross of Honor and in the Grand Chapter I moved up to Grand Royal Arch Captain while I was appointed Grand Sentinel of the Grand Council. In September I was appointed as Grand Orator for the Grand Lodge of Idaho; the Most Worshipful Grand Master being a Past Master and my predecessor in my Lodge. The rest of the year went by as it always did. The Fall was dedicated primarily to my studies and in December I graduated. 2015 was a relatively quiet year for me in Freemasonry. From January to May I spent time in DC working as an Intern for the US Senate. While there I was able to visit many different Masonic bodies within walking distance from the DC Metro. I also attended AMD Masonic Week where I was appointed Junior Deacon of the Sovereign Grand Master's Council. Even though I was not able to attend the Grand York Rite Sessions in Idaho, I was advanced through the Grand officer lineup. I was extremely honored to receive the Knights Templar Cross of Honor and be invested once I was home. My summer started with taking some elective courses for my Master's degree as well as a quick trip to Seattle to attend the Annual Assembly of the United Grand Imperial Council of the Red Cross of Constantine. With September came the Annual Communication of the Grand Lodge of Idaho and the time to deliver my Grand Oration. The rest of 2015 was dedicated to working on my Master's degree and the course work was at times overwhelming. I entered into 2016 with my initiation into the Wyoming College of the Societas Rosicruciana in Civitatibus Foederatis. With February brought the annual trip out to Washington DC to attend AMD Week where I was chosen to be the Right Honorable Keeper of the Bath Mat of the Masonic Order of the Bath. With April came the annual meetings of the Grand York Rite of Idaho where I presided over the meeting of the Order of the High Priesthood; appointed Orator of Idaho Priory #13, Knights of the York Cross of Honor; elected Chancellor of Tri-Valley College #178, York Rite Sovereign College of North America; appointed Eminent Grand Warder of the Grand Commmandery, Illustrious Grand Conductor of the Council of the Grand Council, and Right Excellent Grand Scribe of the Grand Chapter; and also assisted with a Cavalry Charge to bring in new members into the Commemorative Order of St. Thomas of Acon. On Memorial Day Weekend I attended the consecration of Intermountain Chapel #27 of the Commemorative Order of St. Thomas of Acon where I was installed as the Founding Secretary. There are many people I'd like to thank for your assistance, advice, friendship, guidance, and inspiration: first and foremost, I'd like to thank my parents for all of their love and support during my journey in Freemasonry, and secondly, to all of my Masonic family. While at Masonic Week this last February I purchased several new books. One of them is "Beyond the Craft" by Keith Jackson. Though it focuses more on British Freemasonry, it is still an invaluable took for those interesting in Masonic Rites outside of the Blue Lodge. 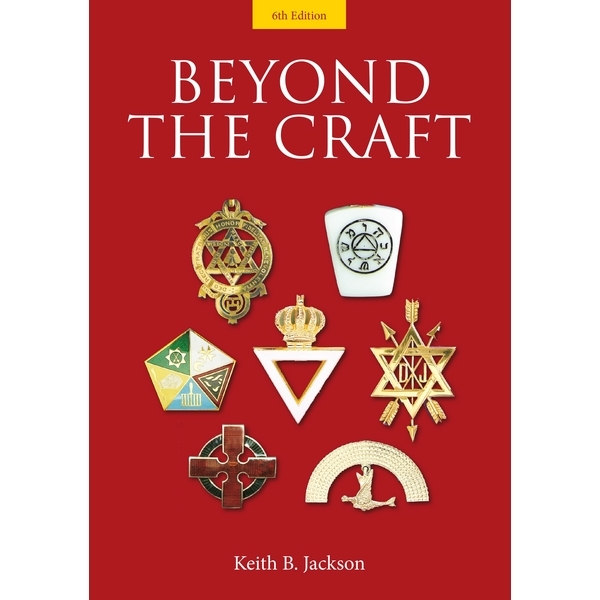 The book goes into the history, joining qualifications, hierarchy, rituals and teachings and regalia of the Holy Royal Arch, Royal and Select Masters (Cryptic Masonry), Mark Masonry, Royal Ark Mariners, Order of the Secret Monitor, Allied Masonic Degrees, the Ancient & Accepted Rite (Rose Croix), the Red Cross of Constantine, Knight Templar and Knight of Malta, Holy Royal Arch Knights Templar Priests, Royal Order of Scotland, Baldwyn Rite, The Operatives, Societas Rosicruciana in Anglia, the August Order of Light, Order of Eri, Knight Templar Beneficent of the Holy City (KBCH/CBCS), the Order of the Pilgrim Preceptors, the Masonic Order of Athelstan, the Commemorative Order of St Thomas of Acon, and the Order of the Scarlet Cord. 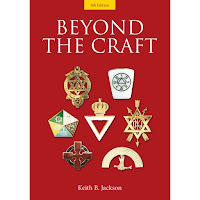 In a Chapter of Royal Arch Masons, the Scribe sits as 3rd in command following the King and High Priest. The Scribe represents the Prophet Haggai who, during the exaltation of the Royal Arch degree is dressed in a purple robe and turban. The jewel of the Scribe is the plumb surmounted by a turban which is an emblem of rectitude and vigilance. From what we learn in the Blue Lodge, the plumb reminds us to guard against intemperance and excess not only for ourselves, but our Companions as well. Haggai was a Prophet during the building of the building of the Second Temple in Jerusalem, which is central legend of Royal Arch Masonry, and the author of the Book of Haggai. Haggai is the Hebrew language translates to "my holiday". Of his personal life, little is known except that he was in a Levite, but according to Albert Mackey, Haggai was born during the Babylonian captivity and was a young man at the time of liberation by Cyrus though Ray Denslow differs in that Haggai was old by the time the rebuilding of the Temple had started. According to the 6th Chapter of the Book of Ezrah, Haggai was instrumental in invigorating the Jewish people into rebuilding the Temple. In Canada and England, Royal Arch Masons use the term "Third Principle" rather than "Scribe", but the American use of Scribe hails back to Haggai who would have served as the scribe, or secretary, of the Grand Council charged with rebuilding the Temple. The very etymology of scribe is rooted in the Latin word "scriba" meaning "keeper of accounts, secretary, writer" which is applicable to the duties of Haggai. Historically, scribes have also been used as notaries, copyists, interpreters of law (lawyers or judges), accountants, ministers, and journalists. Much of ancient history was recorded by a scribe, by one name or another. In some instances, scribes were considered a part of the royal court, performing the previously described duties for monarchs, as would have been the case for Haggai.